And, not long after his wedding, Adrian was back for more! As a designer himself, he loves the opportunity for endless customization and creativity that our custom process offers. It was the perfect smoking jacket for a perfect wedding. Adrian was referred to King & Bay by multiple friends and family members – which we thank them for! 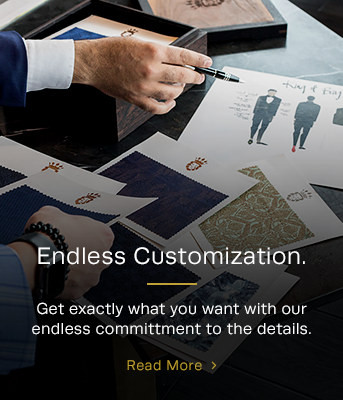 He had heard about our Master Suit process and the possibilities for endless customization. Adrian is a designer and sales professional with QTK Fine Cabinetry, a custom kitchen company in Vaughan, Ontario. He has a sense of style, a sense of sophistication and definitely leans towards creative. 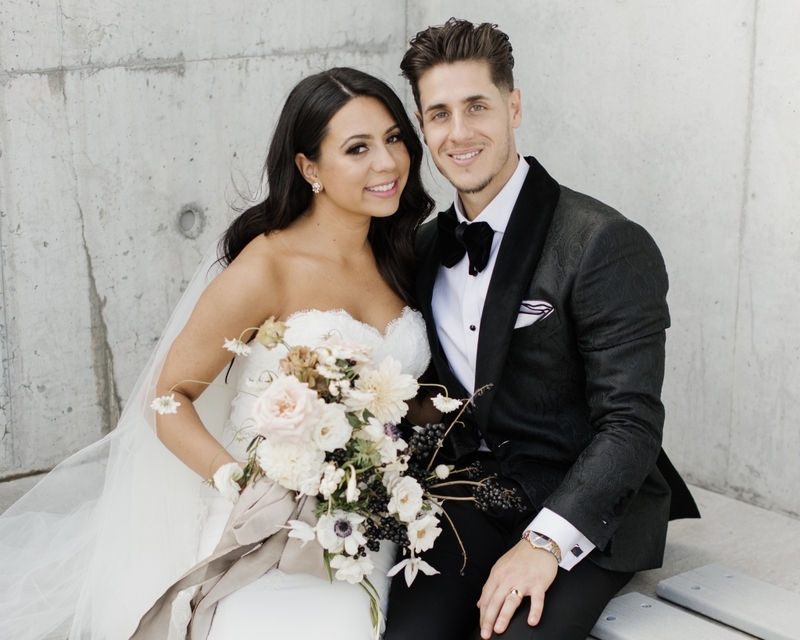 For the wedding details, Adrian and his bride worked with Elegant Wedding and the event is featured on their blog. 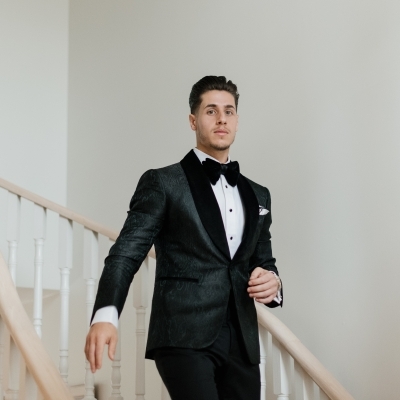 For his suit, Master Clothier Sushant Vachhar helped him design a raw silk jacquard smoking jacket that was stunning with his bride's beautiful gown. Classic, elegant, stylish. We love working with clients, like Adrian Perpetua, who are designers in their professional capacity. The creative conversation flows at a different level and expands very quickly. 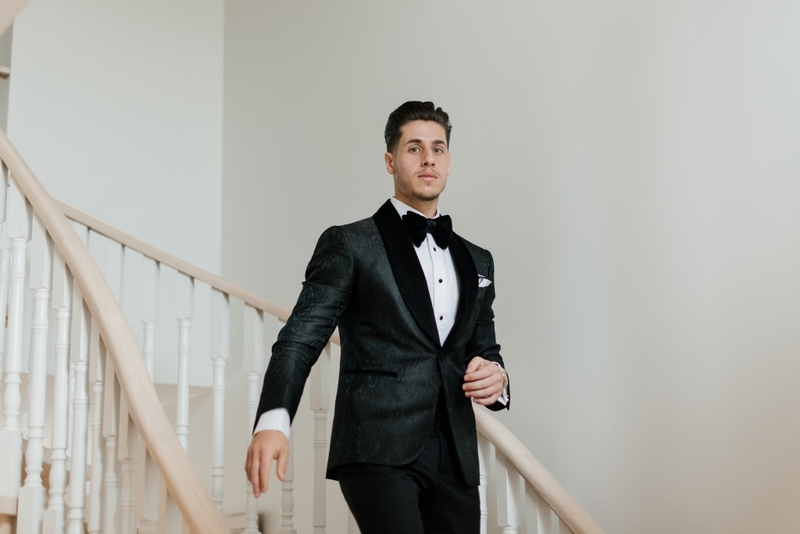 The smoking jacket we created for Adrian's wedding was just the beginning – we look forward to working with Adrian on many more creations down the road! Next up... a custom suit in a fabulous teal windowpane fabric. 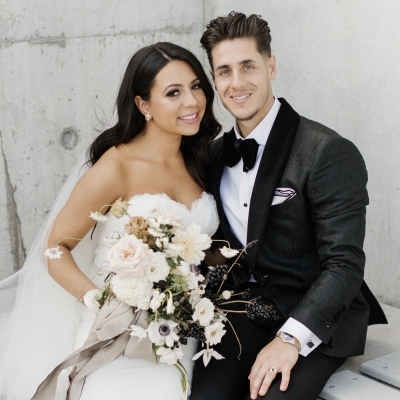 In addition to being passionate about his bride, Adrian loves fashion, food and athletics. Because it has been difficult to buy off-the-rack to fit his athletic body type, King & Bay offers the perfect solution for Adrian to showcase his personal style. With our garments, he gets the look... and the feel... that he wants. Next on the cutting table is a custom suit with fabulous details in a stunning teal windowpane fabric.